Moab and the nearby Arches National Park promise an exploration of Jurassic proportions. 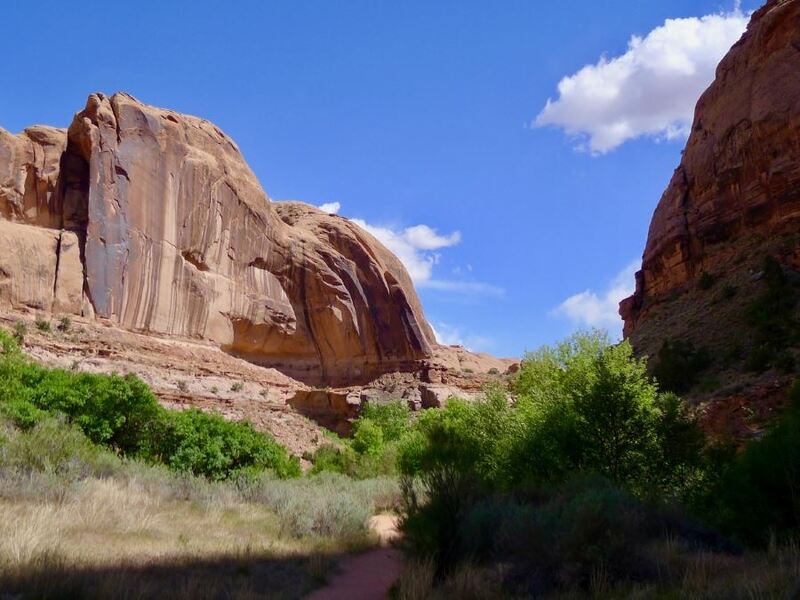 The town of Moab is located on the eastern border of Utah and though it has just over 5,000 permanent residents, the proximity to two magnificent natural parks makes it a year-round tourist destination. One of these parks is just a stone’s throw from the town center. With more than 2,000 arches, the aptly named Arches National Park contains the world’s largest concentration of natural sandstone arches across its more than 76,000 square acres (307 square km). 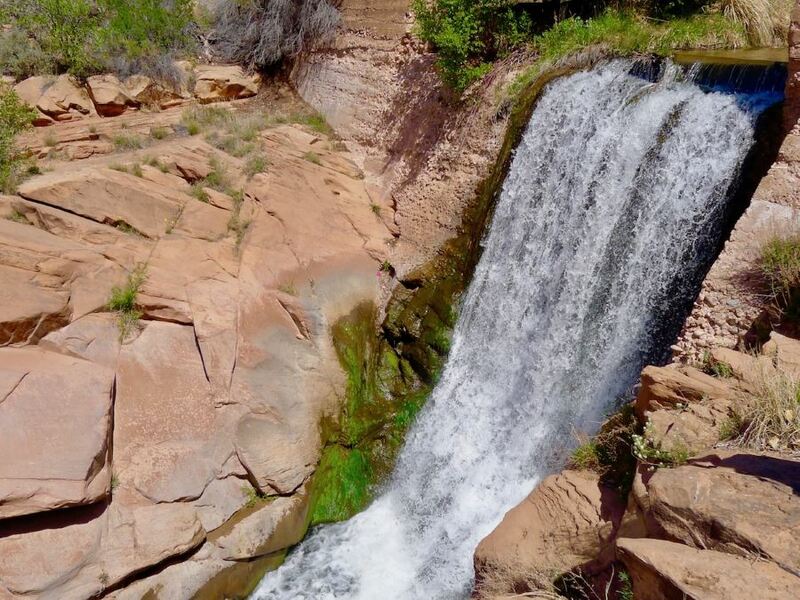 The area is a mecca for mountain bikers, but a number of other astonishing natural features – colossal sandstone slabs, massive balanced rocks, hundreds of soaring pinnacles, spectacular sunsets and the mighty Colorado River – make it a year – round destination for a wide variety of outdoor adventurers. 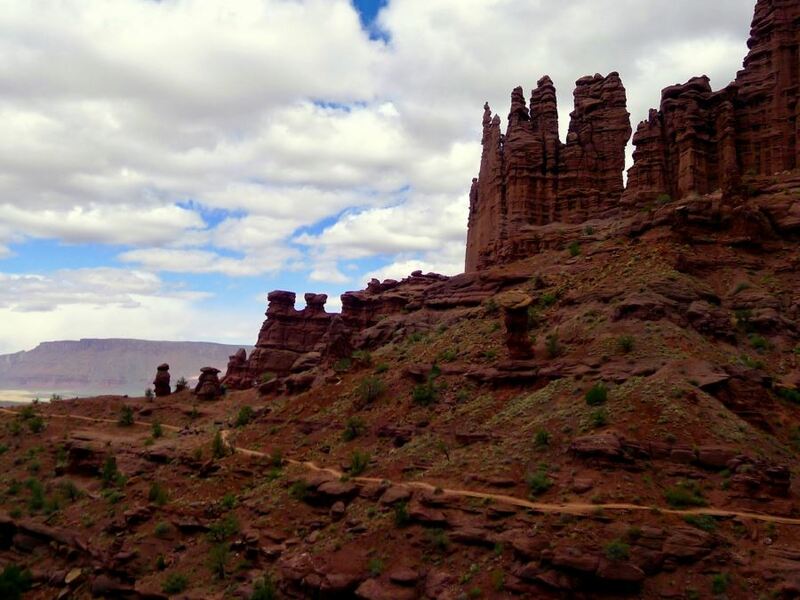 Whether you’re looking for an epic 4×4 escape, an exhilarating white water rafting journey, world class mountain biking, or just a simple hike through the area’s extensive trails – Moab and the Arches have got you covered. Moab is located just 18mi (29km) west of the Utah/Colorado state line. The town is roughly 240mi (385km) southeast of Salt Lake City, UT and roughly 115mi (185km) west of Grand Junction, CO. You can reach Moab via the route US 191, which runs from Interstate 70 to the north and Interstate 40 to the south. Arches National Park is located just 4mi (6km) north of Moab along route 191. 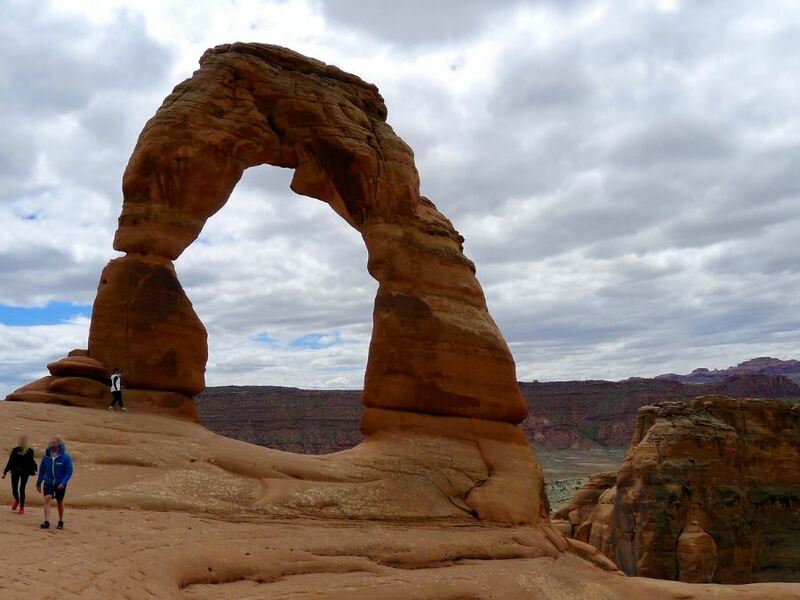 Here we’ll take you through the basic overview of hiking in Moab and the Arches National Park – including how to get there, where to stay, where to eat, what to see and what to watch out for. There are three ways to reach Moab and the Arches by plane. The closest airport is Canyonlands Field Airport located 11mi (17km) from the town. The other two options are Grand Junction Regional Airport and Salt Lake City International Airport. Grand Junction is a bit closer, but SLC airport offers more variety of international and regional flights. Once at the airport you can rent a car or maybe take public transit (depending on the airport and this could require a connection). From SLC the Elevated Transit bus offers transfer between Salt Lake City and Moab. 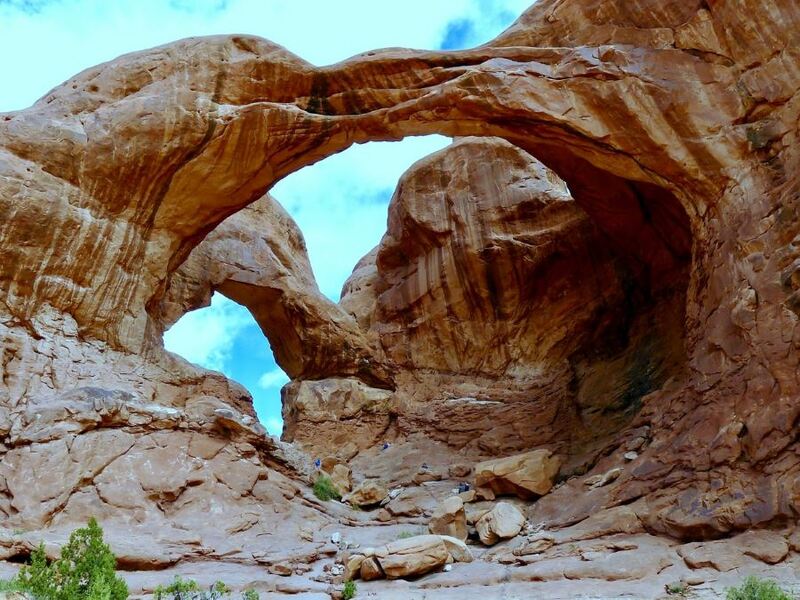 Moab and the Arches National Park are located in the “high desert” region in the Colorado Plateau and temperatures can fluctuate as much as 40 F in a single day. Spring (March to May) and autumn (September and October) are the most popular times to visit, where the temperatures are typically pleasant and suitable for all outdoor activities. In the spring, daytime temperatures can reach up to the mid 80s, but night is still chilly. From June to August, temperatures can hover over 100 F with average temperatures of at least 90 F for more than 100 days during the summer season. Night temperatures typically drop to the mid 60s, but still only the bravest set out to hike during the day. September to November temperatures drop quickly, but often this is a relief after the boiling summer heat. 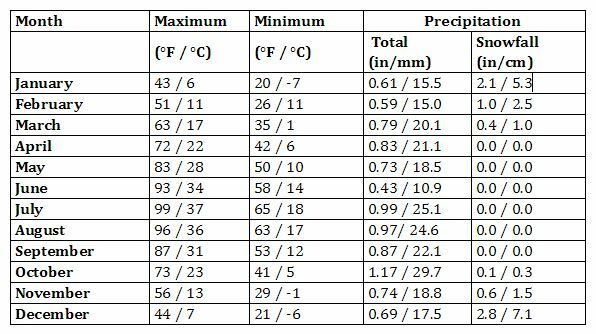 During the winter season (December to February) daytime temperatures barely cross over 50 F, and night lows regularly go below freezing. The most common way to travel within Moab and Arches National Park is with a private vehicle, as there are no pubic shuttle services running within the park. There is, however, a scenic route that takes you to numerous viewpoints and trailheads, however parking is limited in these areas and you may need to plan ahead. Additionally, road construction during 2017 will cause significant road closures. Please check the park website for most up to date information. There are some private guided tours offered as well. Find out more information at Discover Moab. Within Moab you can also find many shuttle and private taxi services. Please click here for more information. There are no lodging options within Arches National Park. There is one 50-site campground at Devil’s Gardens, however it is closed through Nov. 30, 2017 for a major construction project. 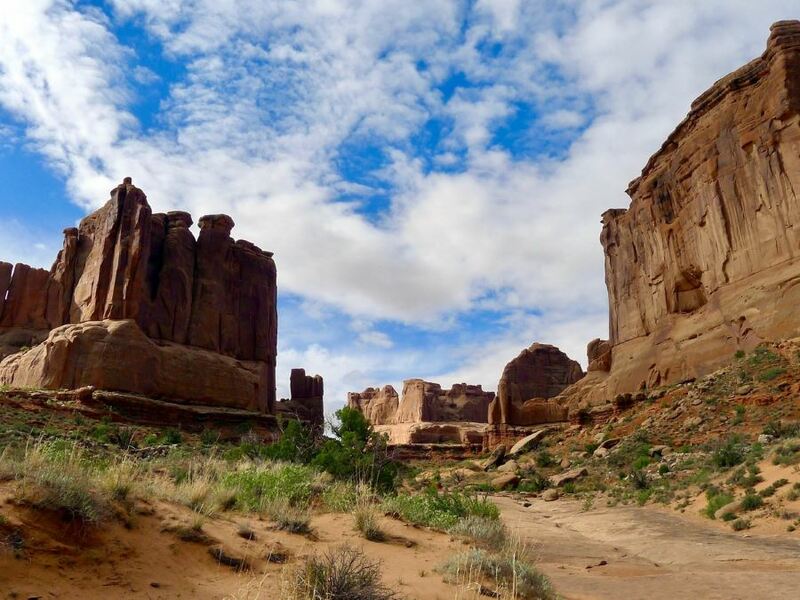 It is also currently prohibited to backcountry camp in the Arches. Find out more information here. 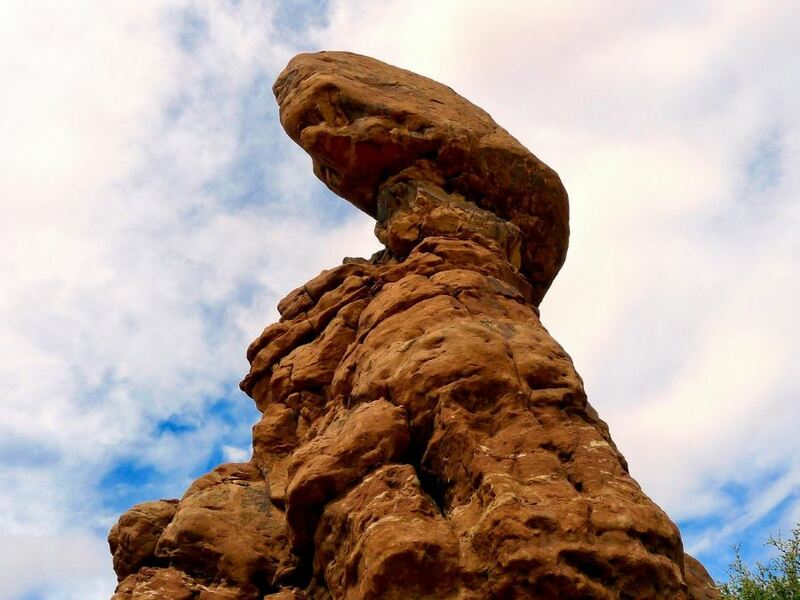 Luckily for visitors to Arches National Park the small town of Moab is located just 5 miles from the park entrance, offering numerous accommodation options – hotels and motels, bed and breakfasts, several campgrounds as well as other accommodation options. However, it can be really pricey to stay in Moab itself – rooms start around $200 per night on average. For something a little less expensive, the Inca Inn is a great budget friendly option in Moab. Here you get free continental breakfast, heated pool and a number of room options – they advertise themselves as being “no frills”, but the price is right at $90-$130 per night in the peak season. Another great value option is the Moab Valley Inn. They offer guests a pool with hot tub, free continental breakfast, a great downtown location and a number of other amenities for roughly $150-$175 per night. If you’re looking for a little more luxury check out the Sorrell River Ranch. The hotel boasts spectacular Colorado River views, farm to table meals sourced from their own gardens, a full spa center and a number of guest activities – on more then 160 acres of wide open ranch land roughly 30 minutes from the Arches entrance. Another great option for a spectacular stay in Moab is the Red Cliffs Lodge. With on-site horseback riding, jeep, ATV, 4-wheel and Hummer tours and an award winning vineyard located on the property. Both of these options are located a short distance from Moab town center. Those looking to camp can also choose from a few options very close to Arches National Park. 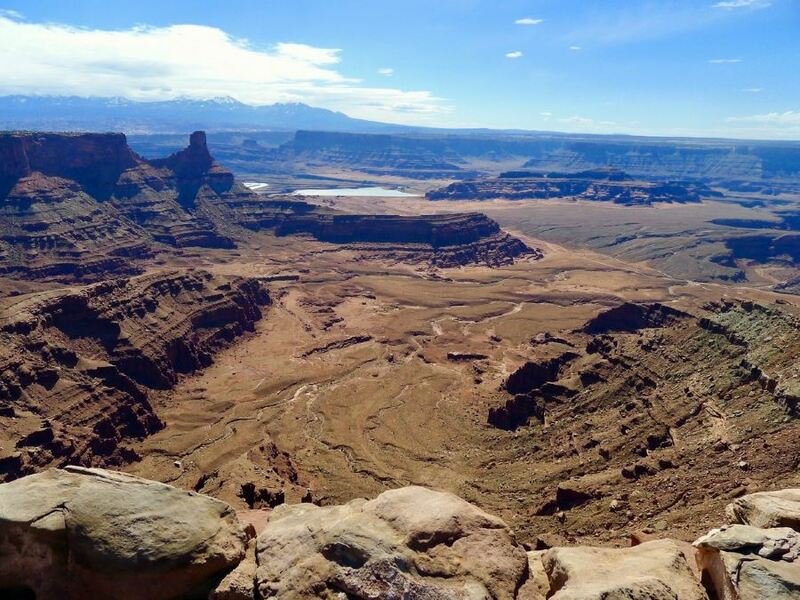 For a complete list of campgrounds in Moab click here. There are no restaurants or cafes located within the Arches National Park, however visitors can pack a lunch to eat at one of the several picnic areas within the park. Some also include fire grates – more information on eating in the Arches, click here. Within Moab, visitors can find a wide selection of dining options – from luxury sit down meals to budget snacks on the go – in a vast variety of cuisines. For a complete listing of restaurants within Moab click here. For a quick meal that is as delicious as it is cheap, check out Quesadilla Mobilla. Choose from a variety of delicious gourmet quesadillas with all the fixins’: all under $10. On the opposite end of the spectrum, Desert Bistro offers guests upscale dining options including fresh seafood and local game. If you want a hearty breakfast or grab a sandwich to take on the day’s hike, there are also many bakeries and shops to choose from. Eklecticafe is a local favorite serving delicious breakfast, steaming coffee and baked goods to go. You can also check out Sweet Cravings Bakery & Bistro for delicious sandwiches, wraps, baked goods and desserts – yum! No visit to the Arches National Park is complete without hiking through the absolutely epic terrain. But luckily if you’re in the mood for a change there are tons of activities available – both within the park and nearby Moab. Outdoor activities include fishing, cycling, horseback riding, photography, bird watching and much more. Adventure junkies may enjoy a guided jeep tour with companies such as Dan Mick’s or set their sights high with a canyon adventure in Arches National Park. The area is also world famous for its spectacular mountain biking routes. Check out a complete of self-guided trails here. You can also sign up for a guided tour with companies such as Rim Tours or Sol Fun mountain biking tours. 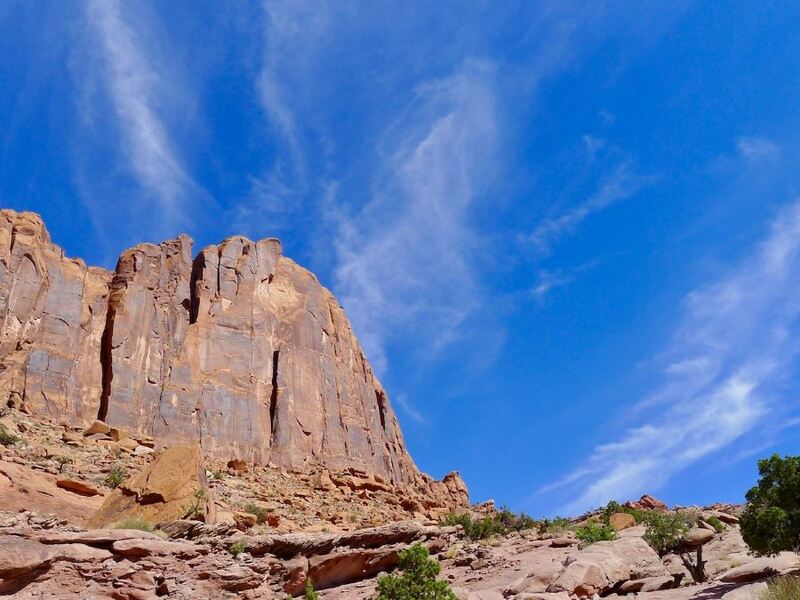 For a complete list of activities in Moab, check out Moab Adventure Center http://www.moabadventurecenter.com/ offering anything from zip-lining to white water rafting, hot air balloons, horseback riding and much more. 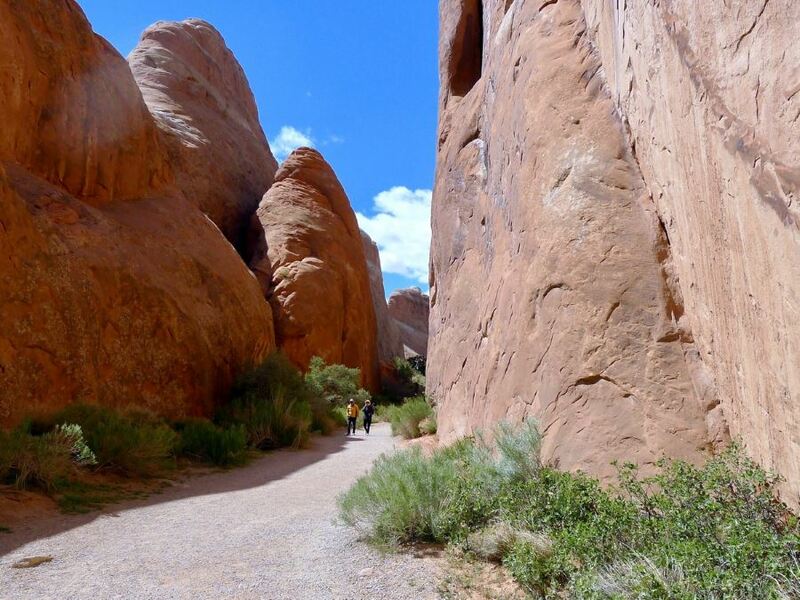 Heat and sun are the most common dangers within Arches National Park and nearby Moab. Temperatures can exceed 100 F regularly in summer. Lighting and flash flooding can occur suddenly during the storm season.  A number of animal-transmitted diseases such as Hantavirus, plague, tularemia, and West Nile virus have been confirmed in the state of Utah. Black bears sometimes wander into the park from the nearby mountains. Park entrance is $25 per car for 7 days. Drink at least one gallon of water per day while hiking outside – especially in the summer season. Pay attention to road closures – construction through 2017 will disrupt many routes. The Devil’s Grounds campground is closed through November 2017. Cell service is limited or may be nonexistent in some areas of the park. If you’re going in the peak season, make sure to book accommodation early.